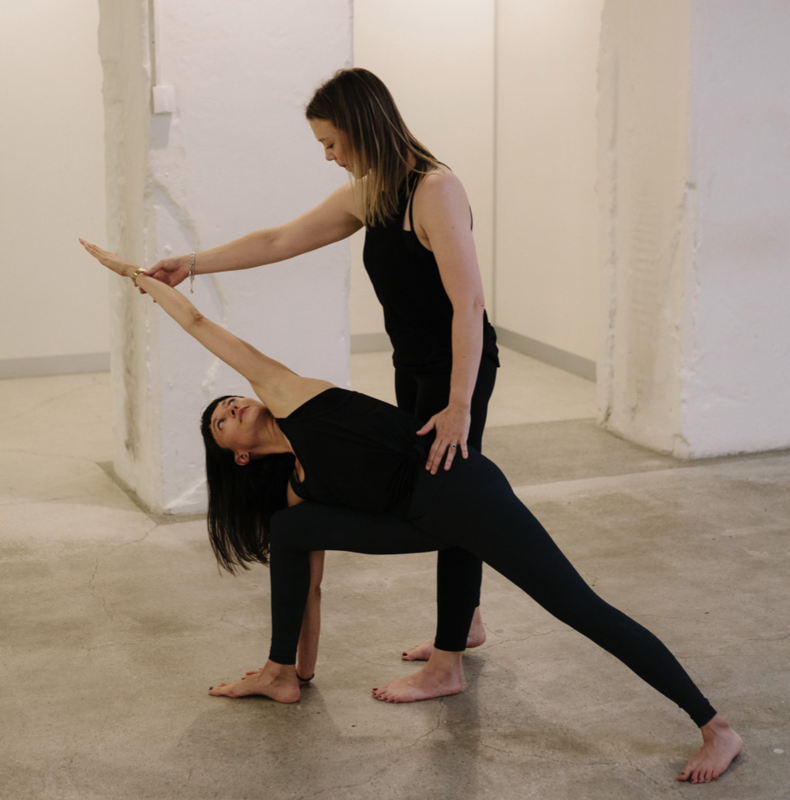 Since 2017, Yoga Corner Founder Amy Leonard-King has been offering Teacher Mentorship both in an intimate group setting and privately with teachers working 1:1 to hone their skills in this multifaceted art. After completing the initial qualification, oftentimes we don't feel quite ready or well-equipped enough to put everything together and make a career out of teaching Yoga, or even ready enough to teach a public class, and with good reason - it is a huge responsibility!Â If you have a qualification to teach Yoga, but are feeling like you need more guidance, mentoring from an experienced teacher and feedback to guide you in your craft, working with Amy will offer you skills and guidance in the practical aspects of teaching Yoga classes to allow you to share these teachings uniquely and with deep sincerity. Amy is currently offering private mentorship and has a very few spaces available to work with teachers 1:1 this year. Whether you are looking for some feedback in a certain area of your teaching, or some guidance around a particular modality, Amy is open to offering anything from a once-off session to boost your confidence by sharing from her own vast experiences, to working 1:1 weekly for her full program of 12 weekly sessions to take your teaching into a place of depth + authenticity, and to give your students the kind of experience that propelled you into your own journey and path with Yoga. Amy invites you to join her to either delve into specific aspects of the art of teaching Yoga with single 1:1 sessions, or the full program across 12 weekly sessions, building the layers of this intricate and demanding role in our modern times of teaching authentically and with true meaning and purpose. Whether you are hoping to gain the confidence to put together your own classes, or hoping to take yourself into place where teaching Yoga becomes your next career path, Amy's experience in all these areas will be available to you under her guidance as a mentor. The practices of Yoga are ancient and sacred, and it is up to us as Yoga teachers in these times to continue the tradition by passing on teachings in an authentic and meaningful way. Learn how to build the layers of your teaching such that your guidance can be both grounded in the ancient origins, and also accessible to your students living their modern day lives now. *12 Week Program Includes an unlimited membership to studio classes for the duration of the mentorship, not exceeding 3 months. If you are interested in joining Amy for either a single 1:1mentoring session, or the full 12 week program, please simply get the ball rolling by sending through an email. Amy has limited availability, and so please also note down your available timings for sessions to help the logistical process run smoothly. Please also share anything you are specifically looking for guidance on, so as to make the experience as personalised and tailored as possible for you as a teacher. Please register your interest by emailing Amy direct on amy@yogacorner.com.au and Amy will get back to you personally as soon as possible.